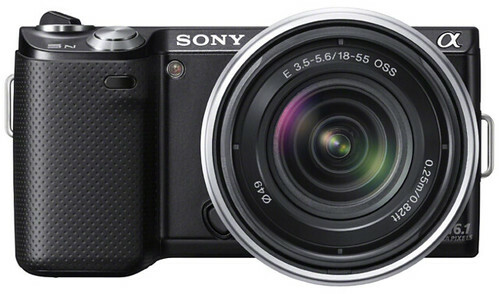 Sony E 55-210mm OSS plus Sony NEX-5N — Full-resolution test photo samples at Impress. Sony E 50mm f/1.8 OSS plus Sony NEX-5N — Full-resolution test photo samples at Impress. Full-resolution test photo samples at Impress, taken with a Sonnar 50mm F2 lens. Focus-Numerique.com has full-sized, full-resolution Sony NEX-5N test JPG photos converted from RAW files (see also Google’s English translation), shot at the entire ISO range. You can download both JPEG and RAW files to compare image quality at low and high ISO values. For comparison purposes, photos of the same scene were also taken with the Nikon V1, Nikon P7100, Panasonic G3 and Olympus E-P3. 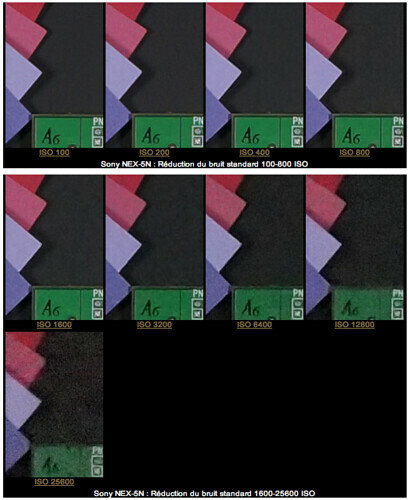 Sony α Alpha NEX-5N with 18-55mm kit lens page at Sony USA.